45-year-old Jason Whittle has been identified as the late actor Patrick Swayze's unknown son. Back in 2009, loved actor Patrick Swayze passed away after a tough battle against pancreatic cancer. He was only 57 years old. The American star was married to author Lisa Niemi, 62. Rumor has it he also left a son called Jason Whittle, which he would have gotten at the young age of 21. It is still unclear if the 45-year-old is actually Patrick's biological son. A DNA test was carried out in the summer of 2017, but the results have not yet been published, reports New Idea. 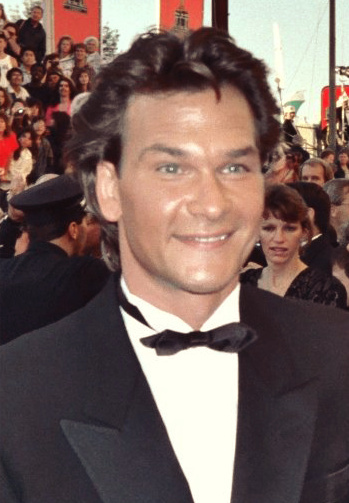 After the star's death, a dispute arose regarding the will and the assets among Swayze's family. And after the news about his unknown son was discovered, the family was afraid that he would also get involved. - He could make a legal claim for his inheritance, said celebrity attorney Raoul Felder according to New Idea. In 2012, the 45-year-old's mother Bonnie Kay also passed away from cancer, but not before telling her son the truth about his biological father. According to the mother, she and Swayze had a one-night stand during the early 70's, and that's when she got pregnant. Many have also reacted to the similarity in appearance between Swayze and his alleged biological son, after a photo of him was published. Today, the father of three, Jason Whittle lives in Missouri, USA, according to Expressen. He has not yet commented on the alleged relationship with the departed Dirty Dancing star Patrick Swayze.